I don’t know about you, but always in the spring and summer months, my children seem to go through growth spurts. Suddenly all their trouser legs are half mast, their shirts are riding up to their belly buttons and their shoes are pinching. It is an expensive time of the year with three children. Now I know there are some great kids clothes available at really cheap prices via supermarkets and similar stores but what if you want something a little more fun? With a little more character? 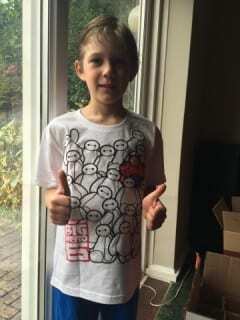 My boys especially enjoy t-shirts with colourful images and words on the them. I try to find funny and clever sayings, or that have characters from their favourite books or television shows. 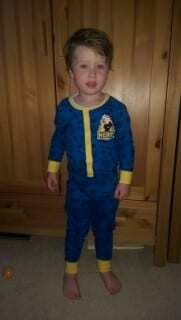 I was really pleased to be able to try out some character kids clothes for all three of my children. My daughter is a huge Harry Potter book and film fan. She dressed as Hermione for Halloween, and she had a Harry Potter themed birthday party for her last birthday. 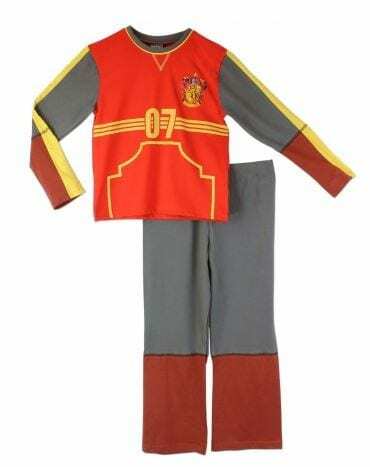 So when we saw that there were Gryffindor Quidditch captain pyjamas and Harry Potter onesies, we knew they’d be perfect for her. 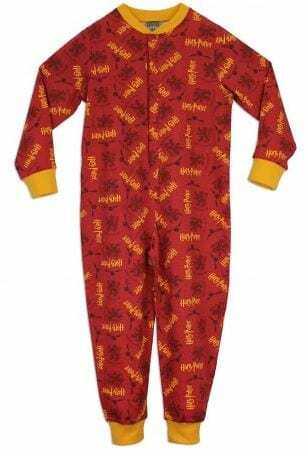 These are actually sold as boys pyjamas but we aren’t bothered with gender typing and got her what she liked. 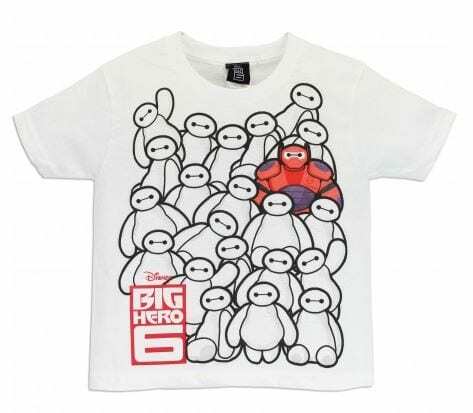 As with most boys at the moment, the movie Big Hero 6 is a hit and so is the squishy marshmallow-like main character; Baymax. I thoroughly enjoyed watching this film with my children. We have even adopted the “fist bump” complete with the bahlalalala and finger wave! We now do this instead of a high five..If you don’t know what I’m talking about, you’ll have to watch the movie. I was really pleased to be able to get a Baymax t-shirt for my eldest boy to enjoy. 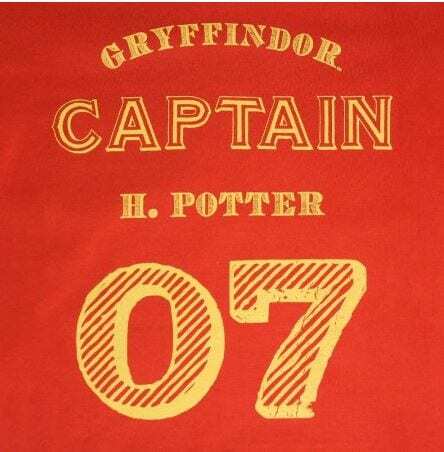 It has already been a conversation starter when people have noticed him wearing it, wanting to know where it’s from and if we’ve watched the movie. I am an avid reader of kids books. I like to review them and to read them just for my own pleasure. I find them funny, less complicated and relaxing. 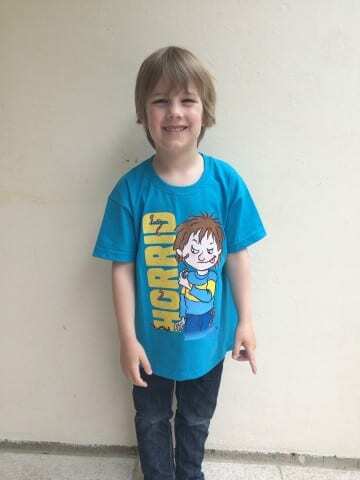 My children like to read too and think that Horrid Henry is a fun character. 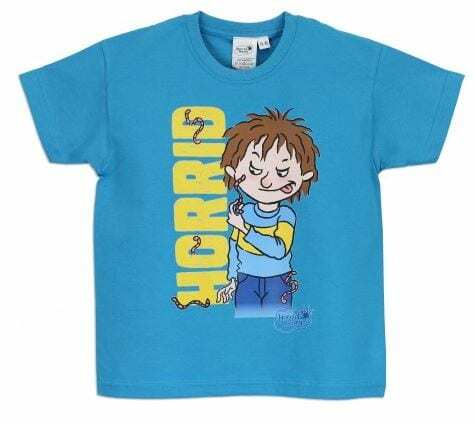 So, we got a Horrid Henry themed t-shirt for my youngest. It is a beautiful blue, which looks great with his dreamy blue eyes. We also got a Fireman Sam onesie for a little guy who is a huge Fireman Sam fan. He even had his 3rd birthday party themed to suit. This is what his mum said. Nice fabric and had washed well. My only thing is that at age 3-4 they are in the potty training stage, so it is not the most practical for night time toilet trips. They have worn their t-shirts and Pj’s a few times now and they have been through the wash a few times and I can happily say that they still look great. No fading or damage to the images and they have kept their shape. The fabric is comfortable too. My daughter is really fussy about clothing texture and has been known to not wear something if the stitching rubs or the fabric itself is not soft enough and she is very happy with her items. So, if your family, like mine, is growing out of their clothes at hyper speed and you like their clothes to be a little different and fun, try Character.com I’m sure you’ll find a character your little one loves! * All products featured were gifted to ToddleBabes in return for our honest review.